The Punter's In-Play Blog: Howell leads but will another closer take the title? 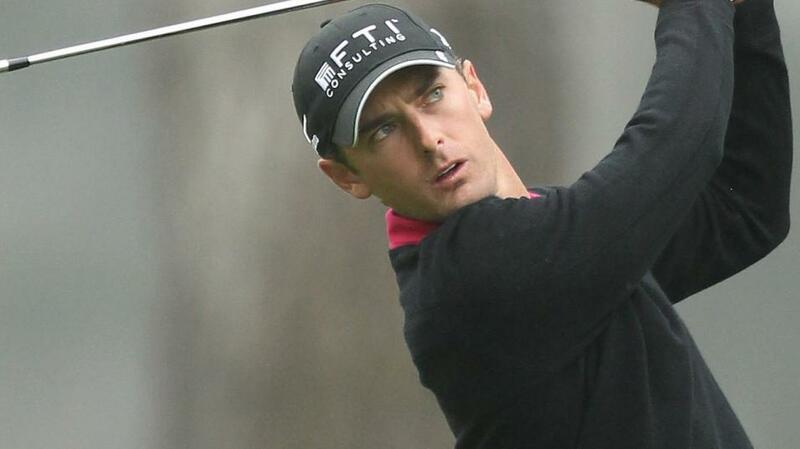 Charles Howell III - can he win from the front at the sixth attempt? I haven't changed my opinion on Charles Howell III overnight and although he still leads, he looks extremely vulnerable. As highlighted yesterday, he's a top-ten machine but he's only ever won twice on the PGA Tour and it's nearly 12 years since the second of those victories. It's also more than ten years since the last time he led with a round to go on the PGA Tour. He's done that five times and failed on every occasion. Cameron Champ started slowly around the Seaside Course for the second time in two days yesterday so siding with him after he's played a few holes today might make more sense than backing him now but high on confidence and topping the Strokes Gained Putting stats, he's most definitely the one they all have to beat. Pre-tournament favourite, Webb Simpson, is bang there and only three off the lead but he can't be described as a great price at around the 5/1 mark. Looking back at the results here, the last three winners were all in front with a round to go but three of the eight renewals have been won by someone coming from someway off the pace. Ben Crane and Robert Streb both won from five adrift and Tommy Gainey was seven back! Howell is not reliable, Champ, although the most likely winner in my eyes, is still young and learning his craft, Simpson isn't someone I'd be in a rush to go to war with and another closer taking the title is certainly not out of the question. Having managed to dig myself out of a hole in Dubai by laying back pre-event pick, Matt Wallace, and recycling on Willett, I've reinvested in five players off the pace here (listed below) and I'll try and monitor the early play for any fast starters. The third round of the DP World Tour Championship has just finished and the current US Masters winner, Patrick Reed, is tied for the lead with the 2016 Masters champ, Danny Willett. Here are the latest standings with prices to back at 13:35. Robert Karlsson won the 2010 edition in a playoff over the two-stroke 54-hole leader, Ian Poulter, having trailed by three with a round to go, but every other winner has either led, been tied for the lead, or trailed by just one. As highlighted in the In-Play Tactics section of the preview, we've seen plenty of drama here and a number of long-odds-on shots have been turned over but we're yet to see an off the pace winner so concentrating on the leaders may make sense. I've messed up with my Matt Wallace wager. After opening up his third round with three straight birdies to lead by three he hit a low of [2.74] but I thought there might be more to come once he'd safely landed on the tough par three fourth green. Holes five and six were averaging well below their pars and the par five seventh is a great opportunity to pick up at least a stroke so I thought I'd hang on but he parred four, five and six and he missed the fairway on seven, so couldn't go for the green in two, and after making par there, he double-bogeyed the eighth and struggled thereafter. I'm kicking myself a bit but I made a strategic decision that didn't pay off and maybe I'm being hard on myself. Anyway, had I not held on, and had I taken some profit, I'd be recycling it all on Patrick Reed now. He looks far and away the most likely winner given the historic stats are in his favour and he's four from six when leading or co-leading through 54 holes. I've had a small stakes saving wager at [3.35] instead and I'll continue to cheer on Wallace, who could easily bounce back tomorrow. I could be being a bit too dismissive of Willett, but he's been in the wilderness for a long while and I just wonder if he's battle-hardened enough of late to get the job done tomorrow. Lee Westwood is in a better position than he was last week before going on to win the Nedbank but can lightening strike twice? I'm not convinced, and Paul Krishnamurty's Find Me a 100 Winner pick, Jordan Smith, who's been on the premises all week, might represent better value at the same price given he's only a stroke off the lead. As a mere footnote, the Race to Dubai is as good as over. Tommy Fleetwood needed to win this event to put heat on Francesco Molinari but after a two-over-par third round, he now trails the leaders by eight strokes. Over on the PGA Tour, we've reached the halfway stage of the RSM Classic and Charles Howell III will take a three-stroke lead in to the weekend. Here's the 36 hole leaderboard with prices to back at 13:40. The Plantation averaged 71.05 on day one and it averaged 69.83 yesterday, so for the second day running it played to an average below that of the Seaside Course, despite having a par of two strokes more. That's quite a change from the first three years that the tournament used two courses over the first two days but it all even itself out and the top-20 is almost evenly split with 11 players being drawn to play the easier Plantation on day one and nine having kicked of at the Seaside Course. We're down to one course now and the rest of the event is played out on the Seaside. The last two winners were in front at this stage and three of the eight winners to date have led at halfway but nobody has ever led by as many as Howell does this year. I'm in absolutely no rush to back him though and I'm surprised to see that he's already been matched at odds-on. He's incredibly consistent but he's certainly not prolific. He had to wait five years for his second PGA Tour victory after his first in 2002 and he's been in search of his third for almost 12 years now, recording an incredible 51 top-ten finishes in the meantime. Backing Howell at less than 2/1 makes no appeal whatsoever. It's an even longer timespan back to Jason Gore's one and only PGA Tour win. After gaining battleground promotion courtesy of three wins on the Web.com Tour in 2005, Gore won the now defunct 84 Lumber Classic but his career's stuttered badly since and earlier this year he went in to the insurance business, co-founding Kirkman Gore Insurance Services. The 44-year-old Californian's only victory since 2005 came in 2010 on the Web.com Tour and it's no surprise to see he began the event as a [1000.0] no-hoper. He's hard to fancy and the obvious candidate is the young man alongside him, Cameron Champ. He took his time to get going yesterday but he finished with a flourish and a second PGA Tour win, just three weeks after his first, is a distinct possibility. It is worth considering that he was sat second and only two off the lead last week in Mexico before a disappointing third round saw him fall away but if he's learnt from that, he's the one they have to beat. I managed to scramble aboard as he played his final hole yesterday at 7/2 with the Sportsbook but he's still a fair price now at a point shorter. And unusually for me, I've also now had a small double on Reed at 2/1 and Champ at 5/2. I'll be back tomorrow with another look at the RSM Classic before the fourth and final round. We've reached the halfway stage of the DP World Tour Championship and my 50/1 each-way pick, Matt Wallace, has hit the front with Paul Krishnamurty's Find Me a 100 Winner pick, Jordan Smith, alongside Adrian Otaegui and Danny Willett in a tie for second. Here's the 36-hole leaderboard with prices to back at 14:10. This really is a frontrunners' course. Only two men have won this event having been more than three shots adrift at halfway and five of the nine winners to date were already in front at this stage. Robert Karlsson won form five back at halfway in 2010 and bizarrely, he's the only first round leader to win so far! A second round 75 saw him drop away but he rallied to beat the halfway leader, Ian Poulter, in a playoff. Rory McIlroy was four off the lead at halfway when he won the second of his two titles three years ago but he was right in-the-mix and tied for fourth place. All the stats suggest we need to be concentrating on the leaders. As an indication of how much this track favours the frontrunners, three of the top-four after round one sit tied for second now, with defending champ, Jon Rahm, being the odd man out. And there looks to be a reason for that. The Spaniard struggled today, posting a two-under-par 70, but his right wrist was strapped up and he had a doctor monitoring his injury as he played, so there appears to be a mitigating reason for his disappointing display. Having backed Rahm after the first round, I'm going to leave the event alone for now. He trails Wallace by four so he's not completely out of it but with two men alongside him and nine above him, he's got quite a bit of traffic to get by. Playing with Rory today, Masters champ Patrick Reed kept the bogeys off his card and he has to be respected so too does Tommy Fleetwood, who needs to win, and for Francesco Molinari to finish worse than tied fifth with one other, for him to retain his Race to Dubai title. Fleetwood is alongside Rory, despite not playing brilliantly yesterday but the key to Tommy's progress is that he's error-free for the week so far and he's most certainly still in the argument. Henrik Stenson looks better value than Rahm on the same score, given he's already won here twice before, nut all things considered, I'm happy to sit on my hands for now and see what tomorrow brings. This is the fourth year that two courses have been used at the RSM Classic and as highlighted in the course details section of the preview, there hasn't been a huge differential in scoring between the Seaside and the Plantation courses, in relation to their pars. The Plantation has played easier in each of the first three years but only by 0-81 in 2015, 0.83 in 2016 and 0.98 of a stroke last year but it was the place to play yesterday! The Seaside Course is only a par 70 so given it averaged 71.14 yesterday, it played to an average of +1.14 over-par, whereas the Plantation Course, a par 72, averaged only 71.05, which equated to 0.95 of a stroke under-par. On a cool day, and with a bit of wind present, the Seaside Course played more than two strokes harder than the Plantation and if it pans out that way again today, then the differential between the two courses is going to be far greater than we've witnessed over the last three years. Looking at the leaderboard after the first round, only two of the top 15 and four of the top-29 played the Seaside Course yesterday and in theory, the two players on -4 and four off Charles Howell's lead, Brian Harman and Peter Uihlein, look well-placed given they play the Plantation today. I've had a small wager on Harman at [21.0] as he was on my (too long) shortlist before the off but I'm not entirely convinced the advantage enjoyed by the Plantation players yesterday will be as pronounced today. It's still cold but the wind is due to drop later and although it will play easier today, I'm not at convinced it will play more than two strokes (in relation to par) easier again today. We'll see. The first round of the DP World Tour Championship is complete and Paul Krishnamurty's Find Me a 100 Winner pick, Jordan Smith, is alongside Adrian Otaegui at the top of the pile but the defending champion, Jon Rahm, is the man to beat after the opening day's play. Here's the first round leaderboard with prices to back at 13:50. The narrative surrounding who wins the Race to Dubai looked like dying completely as the only two contenders that can still win it played out their first rounds. A finish of solo second or better will guarantee Francesco Molinari wins the R2D, whereas Tommy Fleetwood needs a victory, with Molinari finishing worse than a tie for fifth with one other player. Molinari was four clear of his friend and rival with just four holes to play today but he three-putted both 15 and 18 for bogey and Fleetwood birdied the last so it's not quite a done deal just yet although I certainly like the Italian's chances. Despite not being the longest off the tee, Molinari likes this venue and although he finished tardily, he has to be considered as a very plausible candidate. He has course form figures reading 30-6-6-34-13-16-4-4-17 and four of the previous nine winners of this event also won the R2D. Victory for the Open champion would make it five from ten. He's a bit bigger in the market than course-specialist, Rory McIlroy, who shot a three-under-par 69, but the one they all have to beat is defending champ, Jon Rahm. The big Spaniard threatened to run away with the event when he got to six-under-par with three to play and he was matched at a low of [4.0] but he three-putted the 16th for bogey, before making another bogey at the par three 17th after finding water off the tee. He actually did well to limit the damage there and he was unlucky with his drive at 18 which rolled up alongside a fairway bunker but he played a fabulous second shot while stood in the sand with the ball way above his feet before producing this little gem to set up birdie after the lay-up. As highlighted in the In-Play Tactics section of the preview, a fast start is absolutely vital here. Rahm sat four off the lead and tied for 16th last year and that's the furthest any winner has trailed after the opening round. The 2016 winner, Matthew Fitzpatrick, sat tied for seventh and only three off the lead and prior to last year, that was the furthest any winner had trailed by after the opening day's play. The first seven winners all opened up with a round of 68 or better and all seven were inside the top-six places after day one. Not a good sign for Rory et el on -3. It's perfectly clear that we can't scan too far down the leaderboard and I'm more than happy that both of my two event picks, Haotong Li and Matt Wallace (who was also my each-way pick at 50/1), are currently tied for fifth and just two off the lead but I kept some powder dry deliberately to play in-running from early on and the one I'm siding with is Rahm. In its very short history, both McIlroy and Henrik Stenson have won this title twice and the Swede defended the title so Rahm wouldn't be setting a precedent should he go on to win. He won this event on debut 12 months ago having started slower than any other winner of the event and his prestigious length is clearly a huge asset. He's quite simply made for this track. I was a little reticent before the get-go as I wasn't sure he was playing quite well enough but having watched him today, I think he's far and away the most likely winner and anything around the 4/1 mark looks more than fair. The RSM Classic, which I've previewed here, is about to start and as you'll se below, since that preview was first published, I've added both Denny Mccarthy and Dominic Bozzelli and followed Paul in with his pair.